Ubisoft finally attempted to invigorate new life into the tragically ignored, Beyond Good & Evil. While over the years it has certainly garnered some attention from word of mouth by critics and gamers alike, Ubisoft has announced that they would put a remastered high definition version of the game up on the PlayStation Network and Xbox Live Arcade, equipped with updated graphical and audio game assets and supporting up to a 1080p resolution. This is good news to anyone with a modern operating system as they may no longer be able to play their original copy. You play as an investigative reporter named Jade in this varied and imaginative platformer as you get to explore, solve puzzles, play mini games, and combat an invading extraterrestrial force all in a fully featured story campaign, and all while dealing with the existing problems and shady politics plaguing your home world. 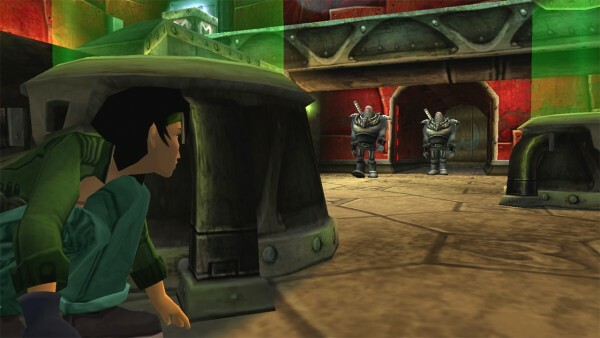 Beyond Good & Evil, originally released in 2003, is slated for its re-debut in 2011. Unlockable trophies, achievements and leaderboards will also be included. The Beyond Good & Evil 2 sequel is still currently in development.